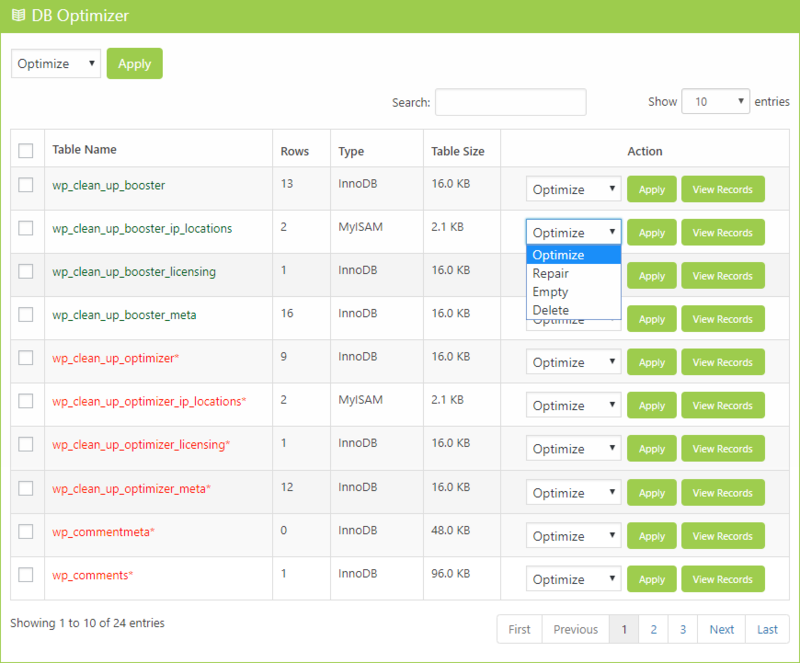 Clean Up Optimizer is an extensive WordPress plugin that optimizes your Database by cleaning obsolete data, such as unused tables, obsolete records and many more. Why it is important to Optimize ? A clean database is a major requirement for the WordPress website to run smoothly. So, Make sure that your WordPress database tables are always optimized. Regular clean up and optimization can improve the overall performance of your website and helps your web page to load faster. Cleaning up unwanted data significantly reduces your WordPress database size and improve database performance. WordPress maintains the revisions of posts / pages update you can removed with Clean Up Optimizer to improve the performance. How to Configure Clean Up Optimizer? Simply go through the series of steps to configure Clean Up Optimizer on your website. With this feature you would be able to remove unwanted data from the tables of WordPress Database, without login into the phpMyAdmin. It significantly reduces your WordPress database size and improves database performance. Regular clean up and optimization can improve the overall performance of your website. 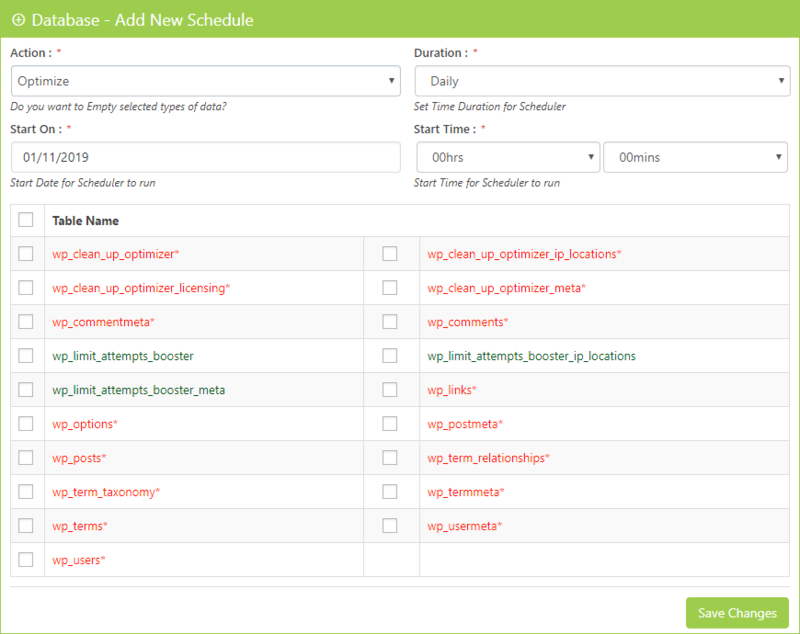 You can schedule the process of Optimizing, Deleting and Repairing the database tables without going to phpMyAdmin. It provides the information about the tables that are stores in database of your WordPress. With the optimization feature you can optimize your database and data by removing the unnecessary data from the WordPress database. 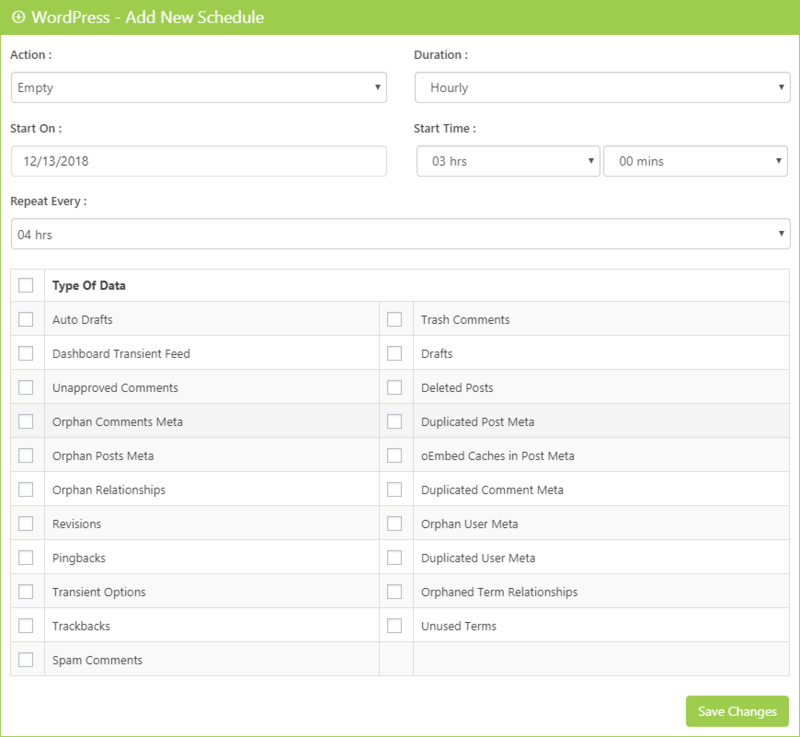 It allows you to automatically clean up and optimize your database without any hassle.​ You can configure and set the scheduler for the automatic cleaning of data from WordPress on Daily and Hourly basis. Cron Jobs are the scheduled tasks that runs automatically at a specified date and time. 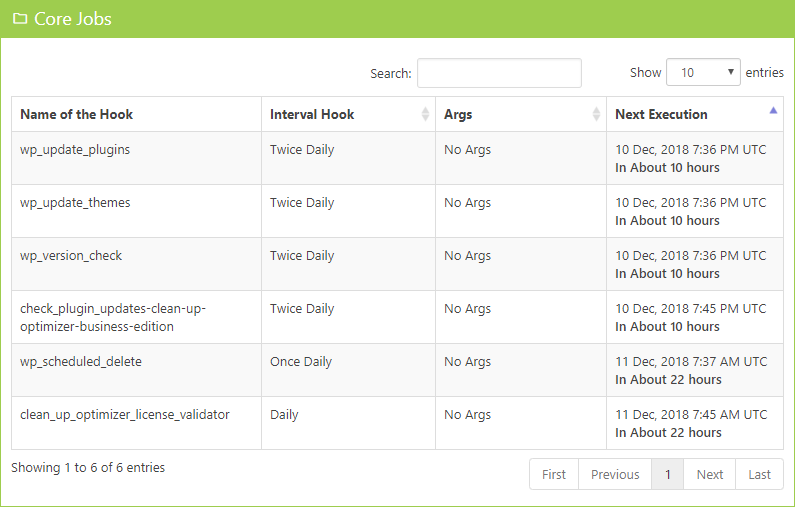 Clean Up Optimizer displays details about the Scheduled events, Individual Schedule Interval, and Arguments to pass to the hook function(s) for WP scheduled events. It also displays the date & time for next event execution. 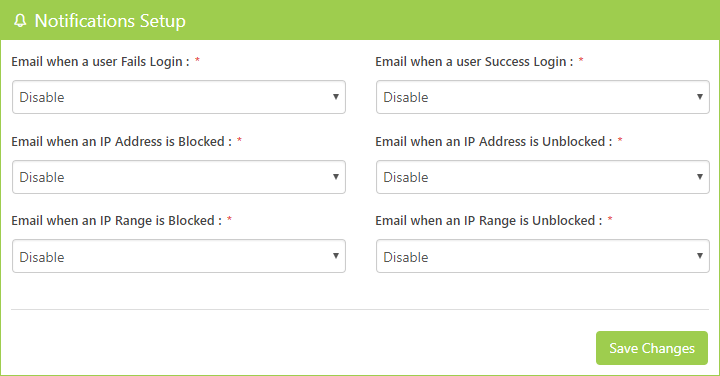 Login Logs allows you to get information about the users who logged in to your website. 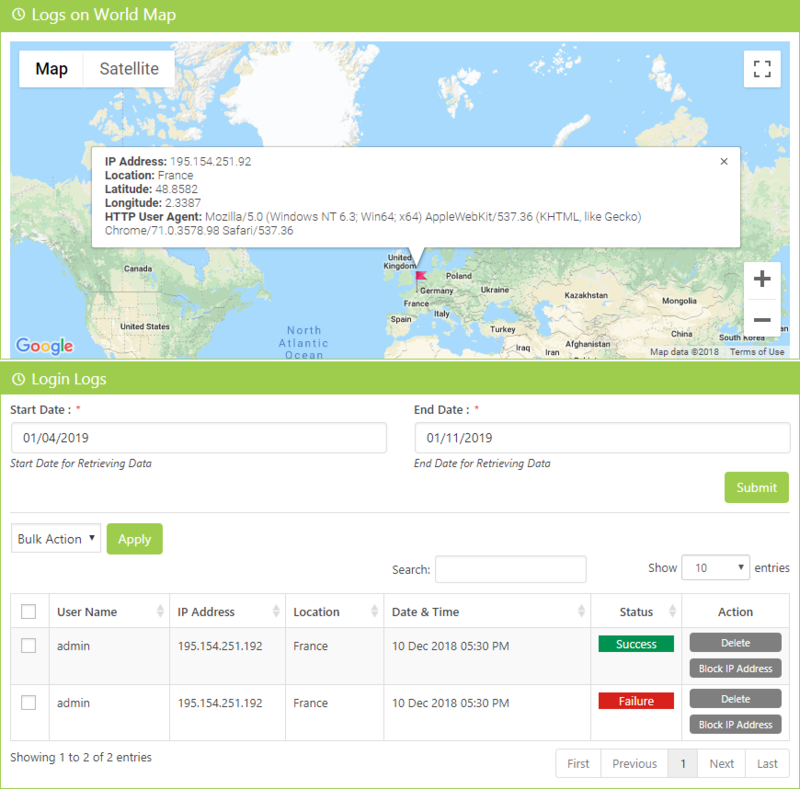 The map view shows an info window that gives information about the IP Address, Location, Latitude, Longitude and about HTTP User Agent. In Clean Up Optimizer, the administrator gets email notifications when different events occur on your website. Message Settings gives you the freedom to add your own custom error messages on different events. In Clean Up Optimizer, there are different Email Templates available for different events. Clean Up Optimizer allows the users to Remove the tables on uninstall by enabling the 'Remove DataBase At Uninstall' option. You can also update the plugin automatically by enabling the 'Automatic Plugin Updates' option. Users can also disable the trackbacks and comments settings. 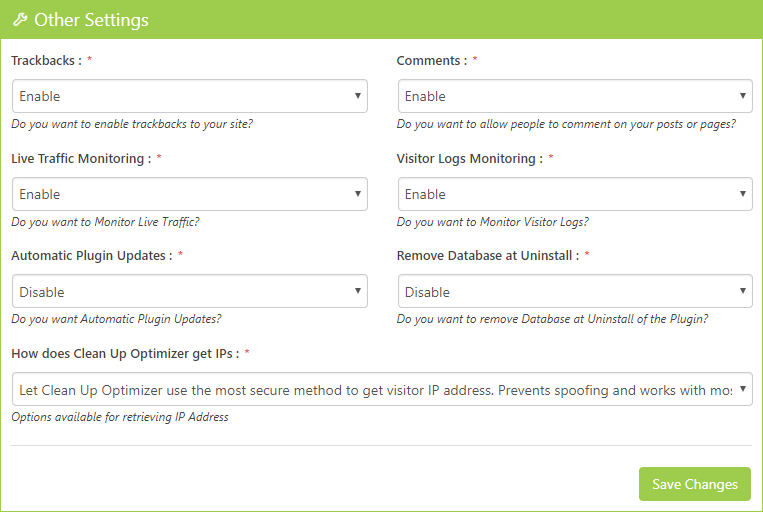 Clean Up Optimizer provides extra security to your site from unauthorized users. 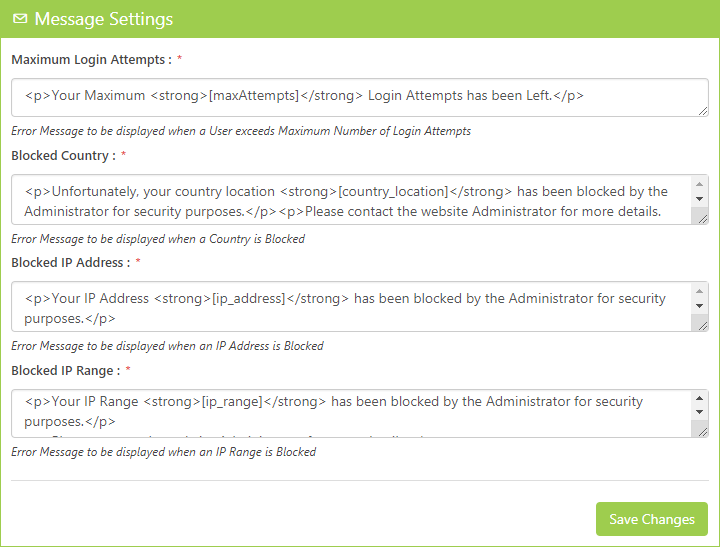 To keep your site safe, block the unauthorized user & also get the notification about the unauthorized activity. Clean Up Optimizer Pro Edition offers you Full Features, Support & Updates for Unlimited Sites. Clean Up Optimizer Developer Edition offers you Full Features, Support & Updates for Unlimited Sites with Contact Bank, Backup Bank, Gallery Bank, Coming Soon Booster & Captcha Bank Pro Edition. 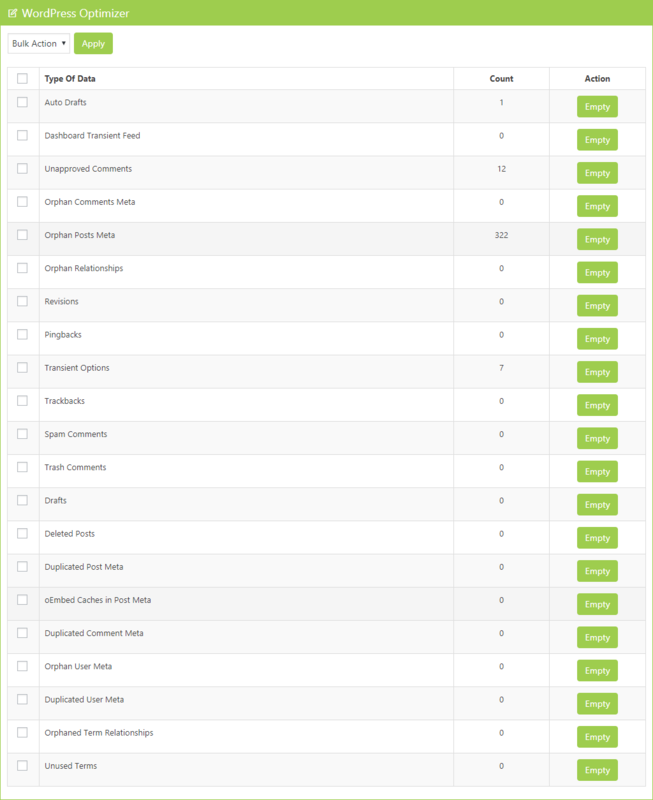 Whereas Agency Edition offers Full Features with Support & Updates for Unlimited Sites with Captcha Booster, Coming Soon Booster, Contact Bank, Facebook Like Box, Gallery Bank, Google Maps Bank, WP Mail Bank & Limit Attempts Booster Pro Edition.